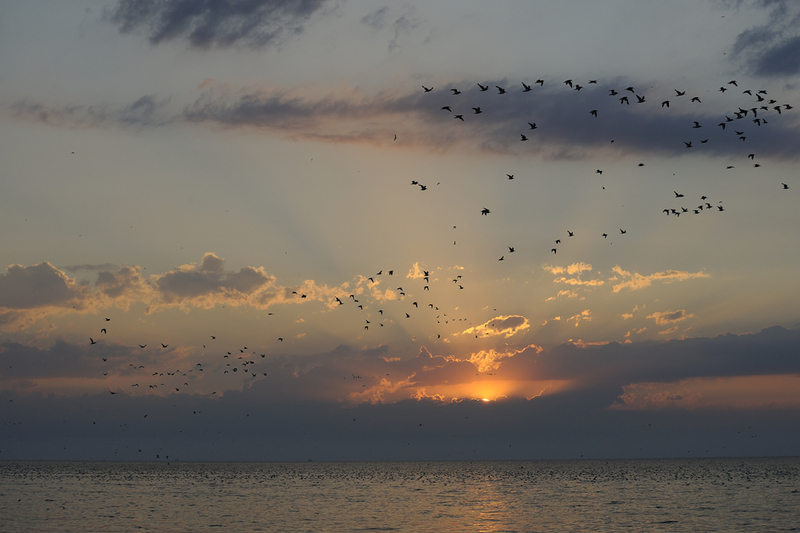 Birds on the shoreline against the setting sun. Snettisham 2012. I had not been back to Snettisham for about 15 months until last weekend when I decided to pay a visit for a couple of days. It was a place I visited many times in recent years. Snettisham is a bird reserve run by the RSPB here in the UK. It is situated on the coast of the Wash in North Norfolk near the popular seaside town of Hunstanton. 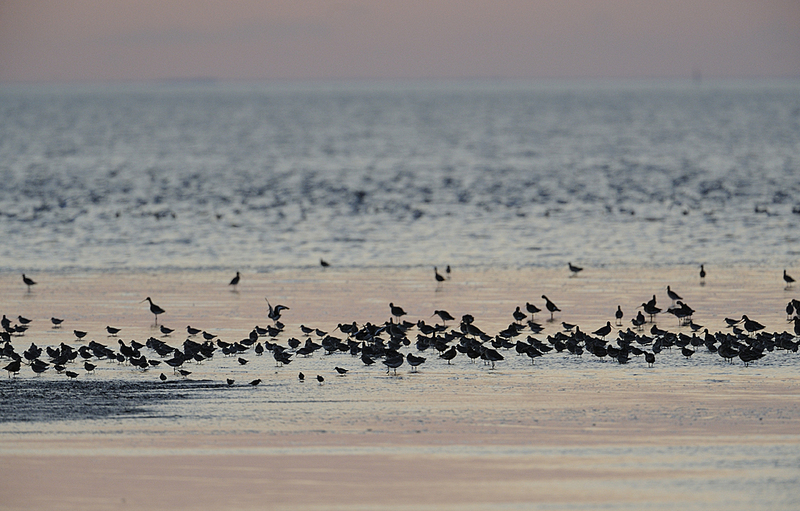 Birds feeding at dusk ahead of the incoming tide. Snettisham 2012. 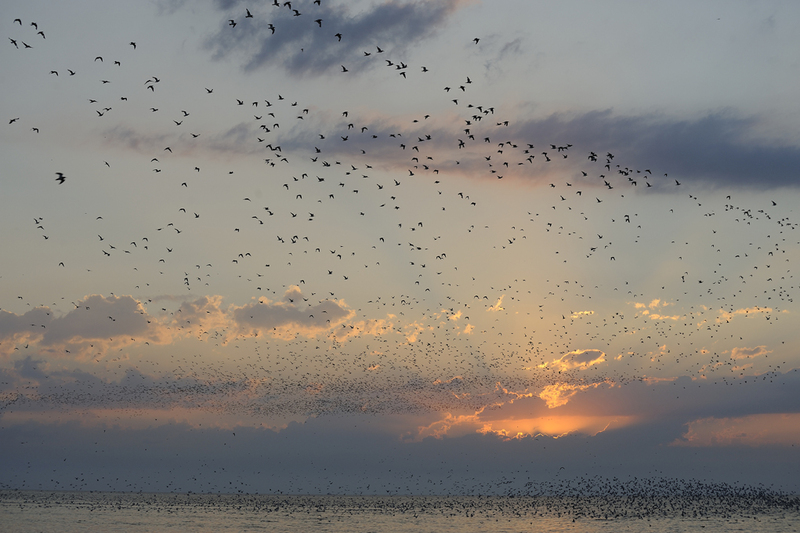 A flock heading inland at dusk. Snettisham 2012. The area consists of vast mudflats that are exposed as the tide recedes and then covered over as the tide returns. These mudflats are a magnet for all manner of wading birds. 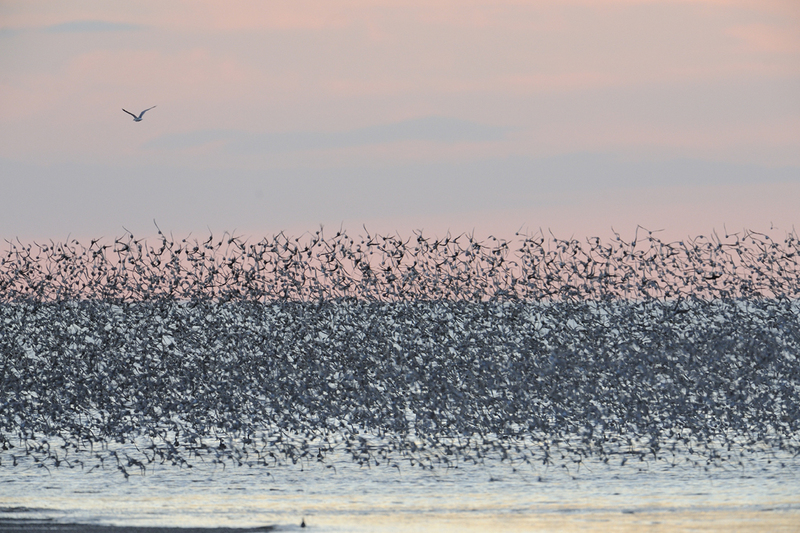 The speed of the incoming tide forces the birds to run to stay ahead, eventually the sea covers the mudflats and the birds are forced into the air in great flocks. On occasion a peregrine falcon may make an appearance causing mass panic and sending the birds into the air in huge swirling flocks numbering in the thousands. Oystercatchers heading towards the reserve at high tide. 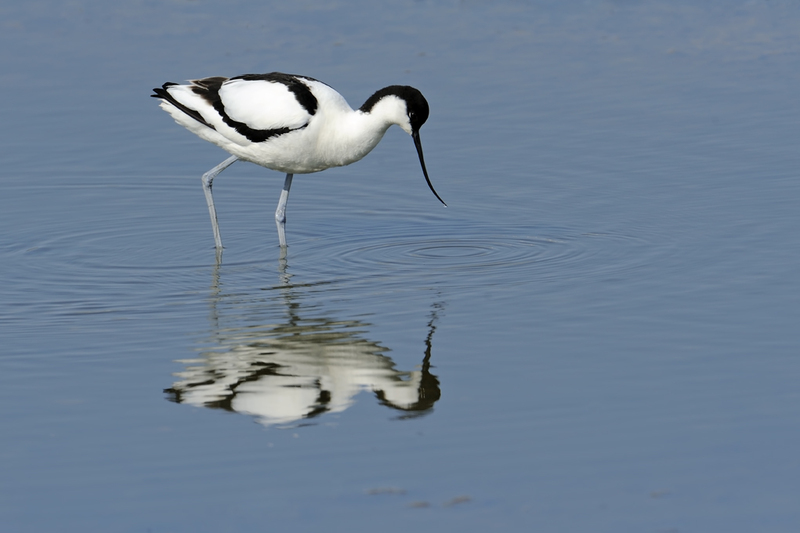 An avocet feeding on the reserve. The reserve next to these mudflats consists of a large lagoon with several gravel islands and gravel banks where the bird’s head to when the mudflats are covered by the sea. 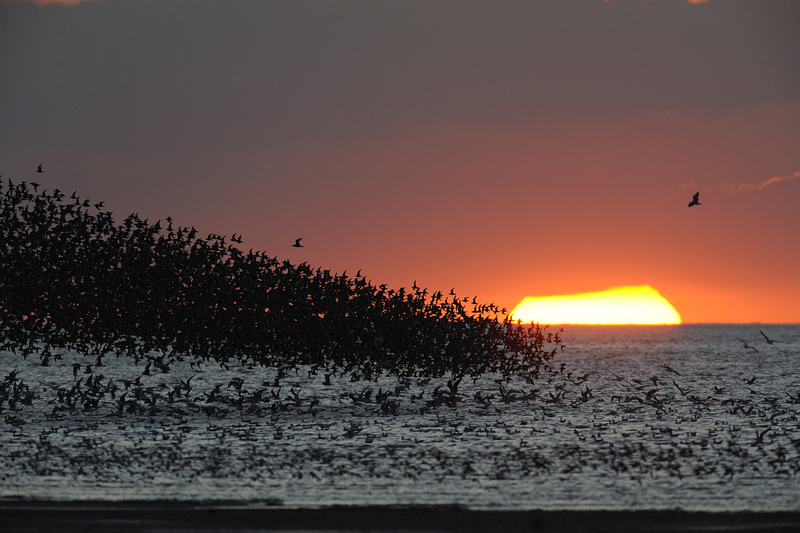 As soon as the tide recedes the birds leave in vast flocks and head back out to the mudflats to feed again. The mudflats are not visible from within the reserve the birds just instinctively know when to leave. Knot head back out to the mudflats from the reserve. 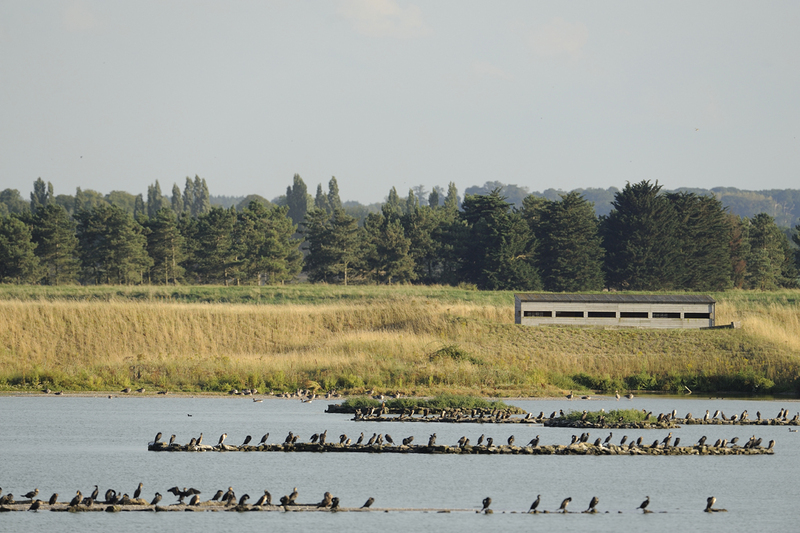 Four purpose-built hides are positioned around the reserve to observe the birds. Photography from these hides can be a bit restricted depending on which gravel island the birds choose to land on and also the position of the sun. Two of the hides face into the rising sun, one of these hides (shore hide) allows views in both directions over the mudflats and into the reserve. I prefer to photograph from the other hides although it depends on what photo you are trying to achieve. One of the hides overlooking the reserve. Snettisham 2012. 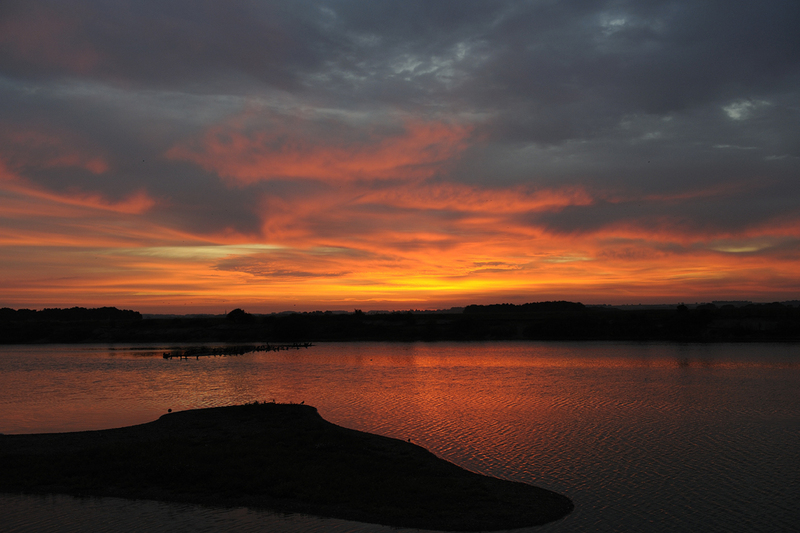 Sunrise from one of the hides overlooking the reserve. Snettisham 2012. 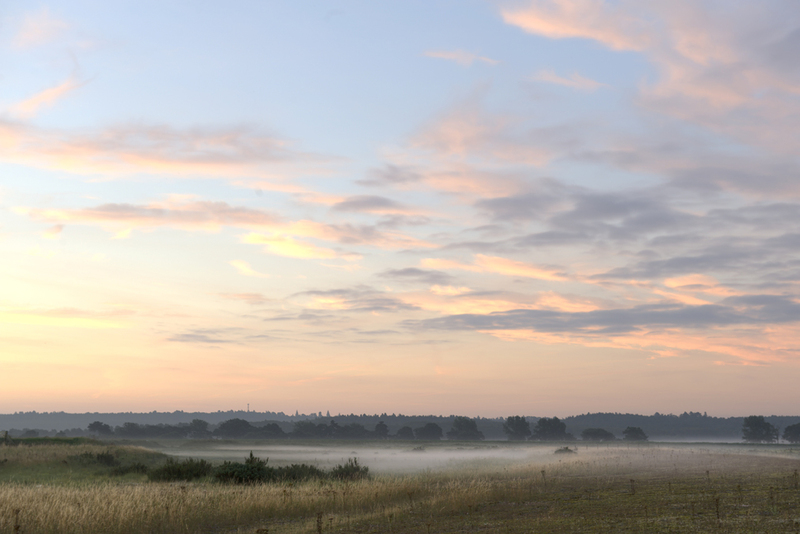 A view from one of the hides at dawn. Snettisham 2012. 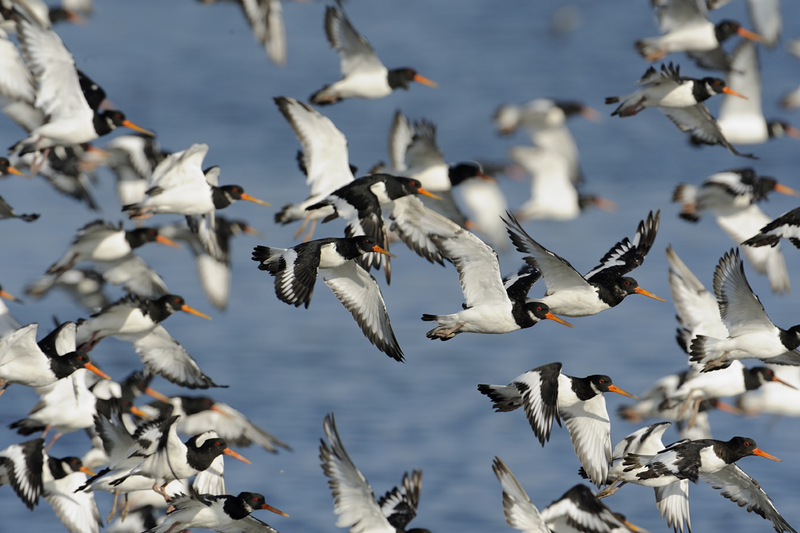 In the springtime avocets and blackheaded gulls breed on the gravel islands while oystercatchers and ringed plovers nest on the shingle shoreline. At the far end the reserve extends out over grassland and marsh. 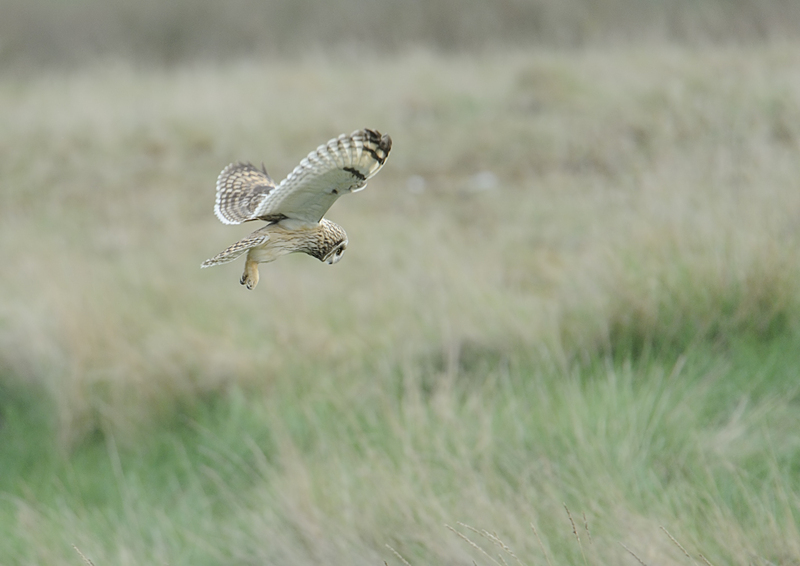 Barn owl and marsh harrier are regularly spotted hunting this area also brown hare are always present here. Mist at dawn. Snettisham 2012. 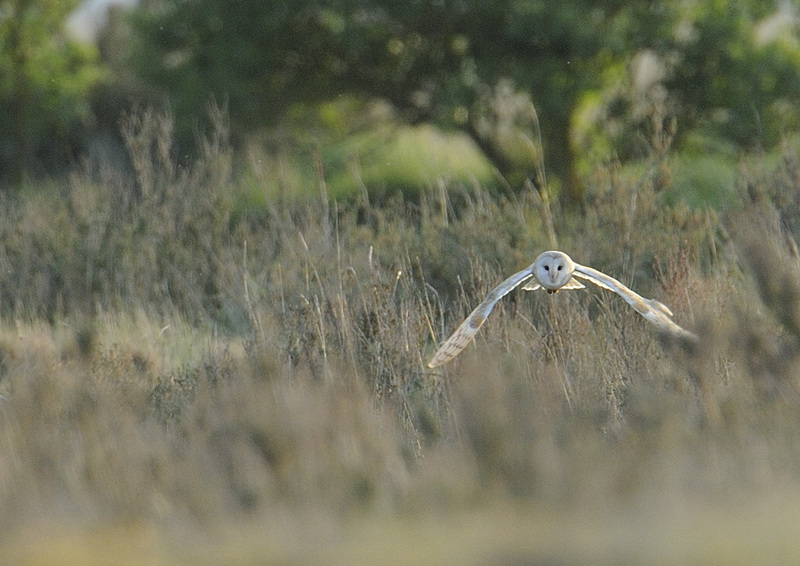 A barn owl hunting at dusk. Taken during a previous visit. A short ear owl photographed at the same time as the barn owl. The reserve is also important in the migration of many species. 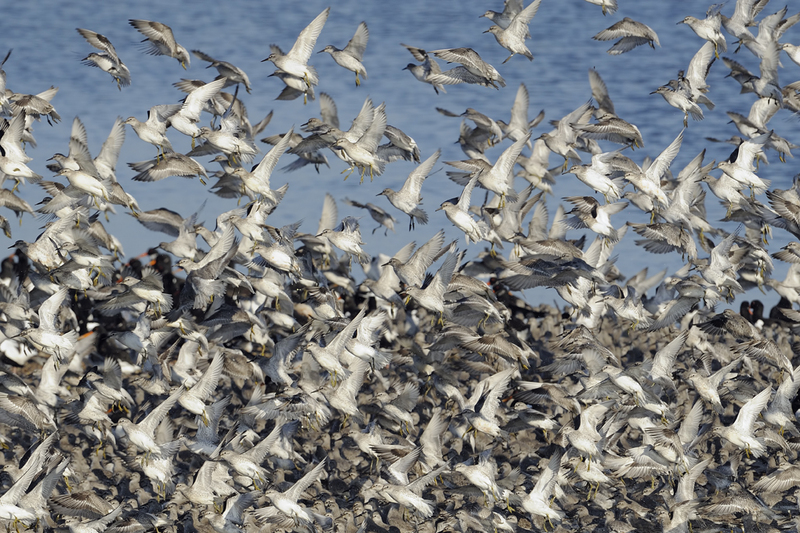 During the autumn migration the numbers of birds rises incredibly, especially species such as knot where there can be well over 50,000 birds present. 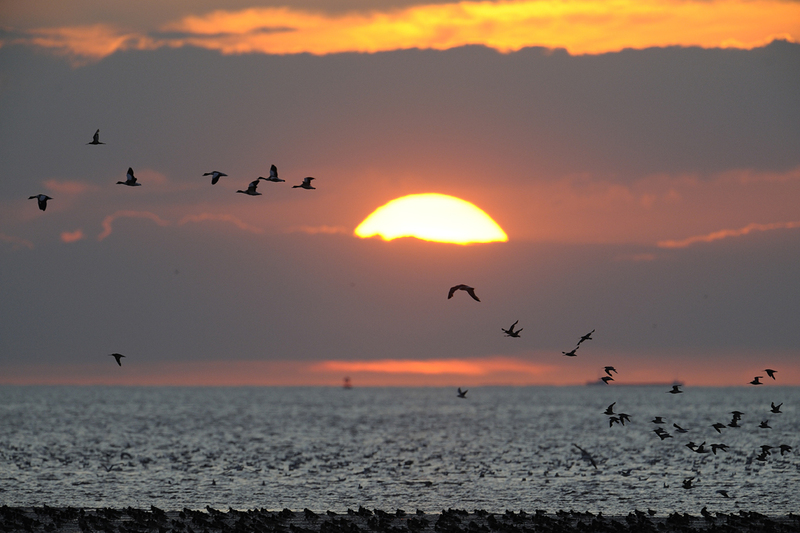 It is this spectacle which makes Snettisham popular with birdwatchers and photographers at this time of year. On a couple of occasions I have been to Snettisham while the BBC have been filming for the “Autumn-watch” TV programme. 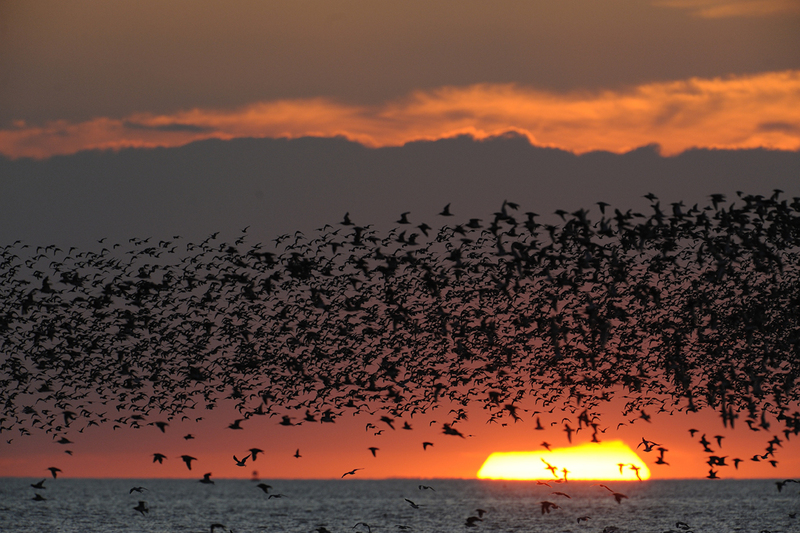 A swirling flock at sunset. Snettisham 2012. Birds heading inland at high tide. Snettisham 2012. The best time to visit is when the highest tide corresponds with the sunrise. I also like to be there when high tide and sunset are at the same time. If the weather is good this can be a stunning display, however when the weather is bad Snettisham can be a pretty bleak place to be. 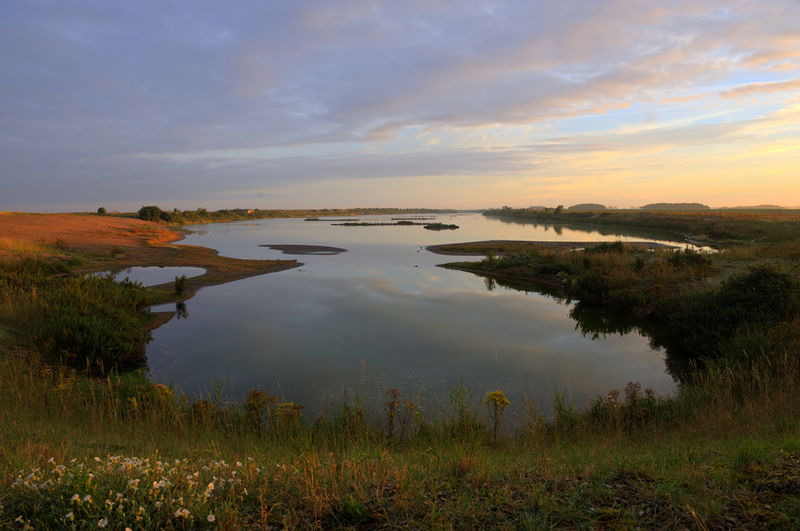 The tides move quickly so you have to be in place early and the car park is quite a distance from the reserve this entails a fairly long walk to reach the far end of the reserve. I was lucky with the sunset during my visit, a local standing next to me commented this was one of the best he had seen. Trying to capture the spectacle in a photograph can be quite difficult. I used lenses ranging from my 24-70mm zoom up to my 600mm + 1.4 extender. The setting sun at high tide. Snettisham 2012. I plan on returning sometime in september after I’ve checked the tide and sunrise timetables to establish the best dates. Hopefully the knot will be there in vast numbers and the weather will co-operate again. I am currently sorting through my photographs from this trip, I have used some images from this trip and some images from previous trips in this article. What an incredible amount of birds and a fantastic chance to capture some fascinatingly extraordinary photographs like you have done! You have taken each photograph really well with great formal elemtns arrnagment and gerneal composition! Have you conisdered enetering these into wildlife competitions? Good job!